"The International Journal of Energy & Engineering Sciences (IJEES) is an open access publisher of journals covering a wide range of academic disciplines. All papers are being published with an ISSN number by the publisher of Gaziantep University. IJEES is a peer-reviewed journal published tri-annual online by "Gaziantep University" in Turkey. This journal is designed for communication and discussion of scientific activities mainly in energy and engineering. 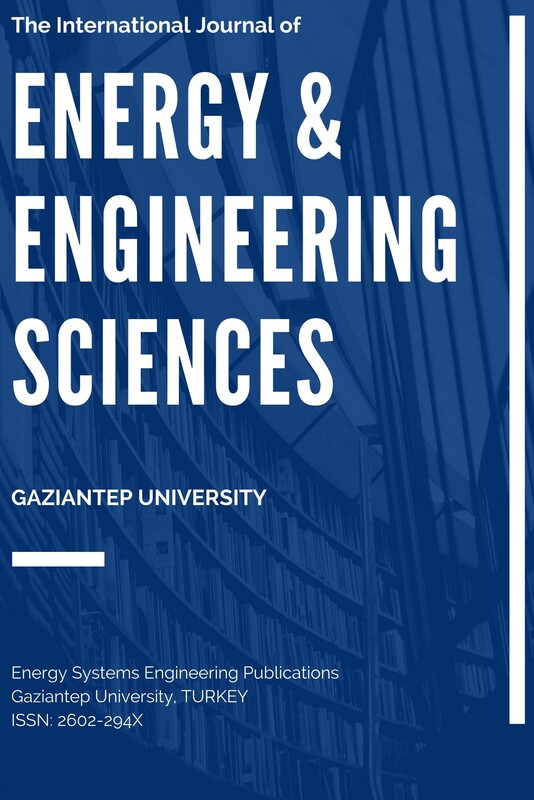 The journal publishes research articles and reviews of Scientists from Universities and Research Institutes, practical and theoretic approaches to discuss issues related to Energy and Engineering. We help researchers to empower knowledge, make new discoveries and collaborate with their colleagues. The journal publishes only English articles. The manuscripts are checked by the editors. The manuscripts adopted to our journal style will then sent to our international reviewers. No part of the material protected by this copyright may be reproduced or utilized in any form or by any means, without the prior written permission of the copyright owners, unless the use is a fair dealing for the purpose of private study, research or review. The authors reserve the right that their material can be used for purely educational and research purposes. All the authors are responsible for the originality and plagiarism, multiple publication, disclosure and conflicts of interest and fundamental errors in the published works. *Please note that All the authors are responsible for the originality and plagiarism, multiple publication, disclosure and conflicts of interest and fundamental errors in the published works. Author(s) submitting a manuscript for publication in IJEES also accept that the manuscript may go through screening for plagiarism check using IThenticate software. For experimental works involving animals, approvals from relevant ethics committee should have been obtained beforehand assuring that the experiment was conducted according to relevant national or international guidelines on care and use of laboratory animals. Authors may be requested to provide evidence to this end. **Authors are highly recommended to obey the IJEES policies regarding copyrights/Licensing and ethics before submitting their manuscripts.